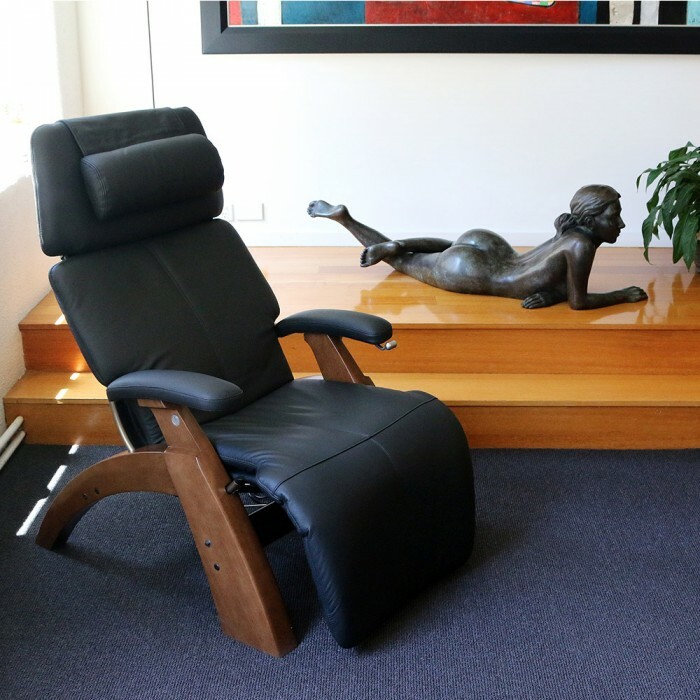 New to Australia from Human Touch in the USA comes the Omni-Motion Classic PC-610 Perfect Chair. The zero-gravity position cradles your back and elevates your legs above your heart, the position doctors recommend as the healthiest way to sit. The human body is naturally balanced, graceful and beautiful. 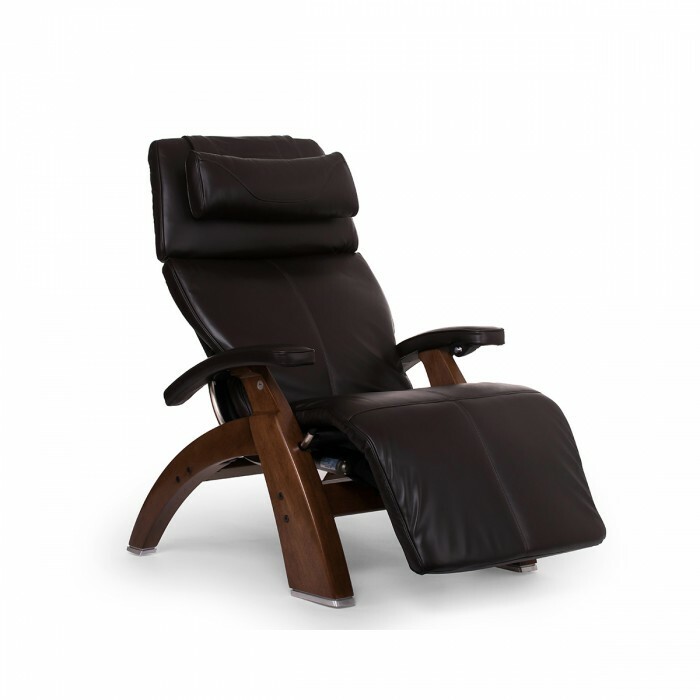 The PC-610 Omni-Motion Classic gives you the power to now independently position your recline angle and leg elevation. This feature did not exist on the earlier Perfect chair models. The dual-motor mechanism allows for infinite comfort positions, making this our most adjustable Perfect Chair ever. The iconic Perfect Chair design also features extended armrests, elongated head pillow and ergonomic lumbar support. These zero-gravity ergonomics are still the best in the industry, and endorsed by physicians as the healthiest way to sit. Stylish design, premium upholstery, and comfort make it perfect for any décor. Welcome to the perfection of perfect. "In a dynamic test, stick-on electrodes were placed on the lower lumbar muscle groups of a subject sitting in the Perfect Chair. As the chair reclined to zero-gravity, electromyography (EMG) results showed reduced electrical activity in the muscles which were no longer contracting and free from stress." In a walnut wood frame and various leather colours to match the style of your home. 5-WAY CONTROLLER: The intuitive 5-way omni-control on our most adjustable Perfect Chair offers infinite comfort positions with a simple press and hold for zero-gravity. 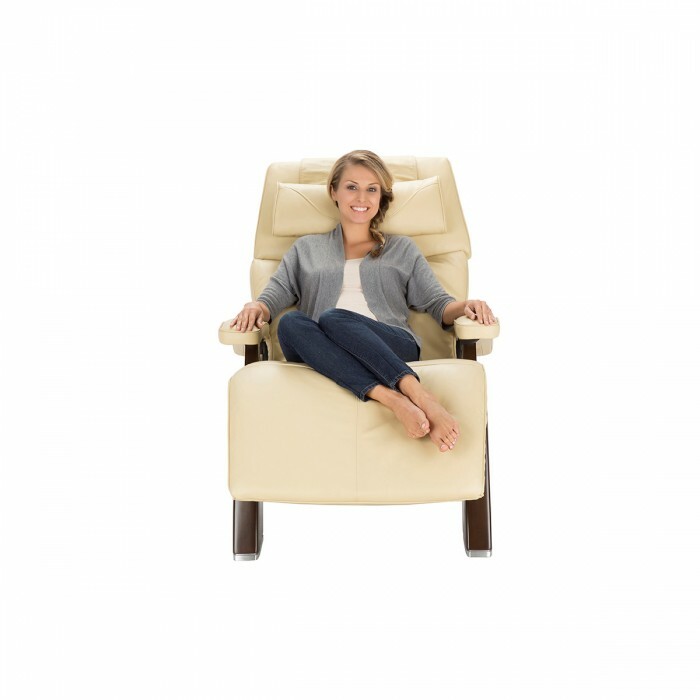 INDEPENDENT LEG AND BACK ADJUSTABILITY: A revolution in zero-gravity seating, the omni-motion classic gives you dual-motor power to independently position the recline angle and leg elevation. Touch is exclusively endorsed by the World Federation of Chiropractic (WFC), a professional organization comprised of national associations of chiropractors in 85 countries, representing them and the chiropractic profession in the international community. 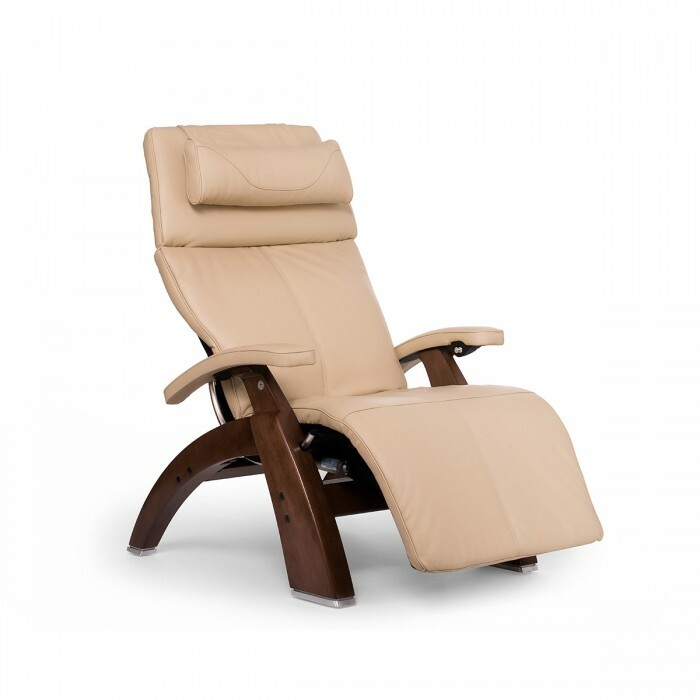 After thoroughly testing our products, the WFC has concluded that Human Touch® massage chairs and Perfect Chair® Recliners can serve as an important tool for back pain sufferers by helping to alleviate or prevent spinal stress, which leads to back pain and disability. Human Touch is honored to partner with the International Chiropractors Association whose members have wholeheartedly embraced our massage chairs and Perfect Chairs, which are used in chiropractic universities and clinics, chiropractor offices, and in patients' homes around the world. Product Weight: 41kg (90 lbs).